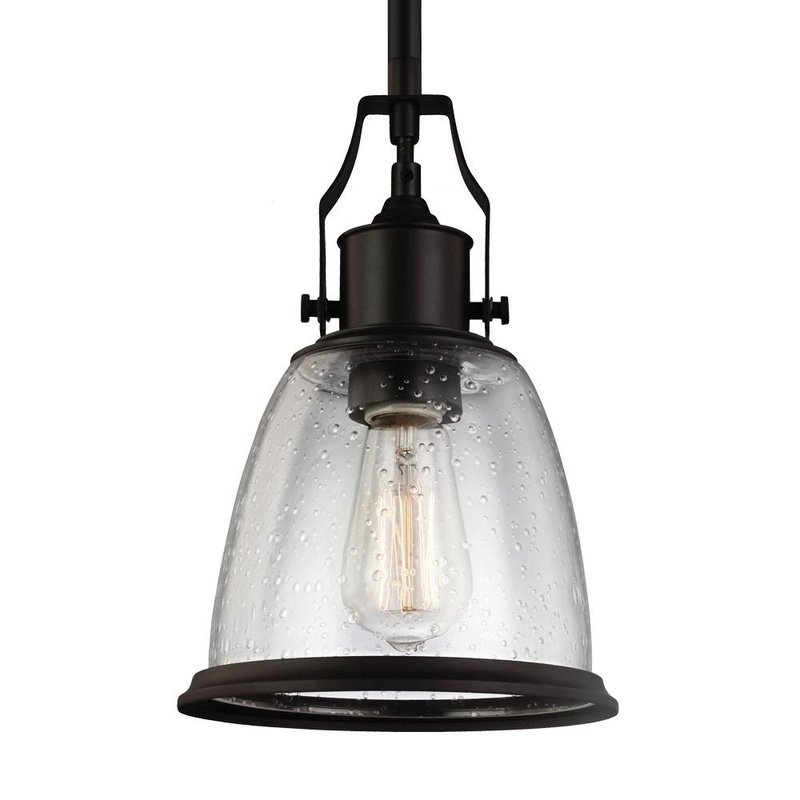 Murfeiss Hobson Collection 1-Light mini pendant fixture in oil rubbed bronze finish, features steel construction. Clear seeded glass offers even light distribution. Fixture supports one 75-Watt A-19 incandescent lamp that has voltage rating of 120-Volts. Fixture measures 7-1/2-Inch Dia x 11-3/4-Inch x 56-3/8-Inch. This 6-/12-Inch stem helps to hang this fixture. Fixture comes with 180-Inch lead wire for hassle-free installation. Fixture is cETL listed for dry locations.